After all my ramblings about how wonderful it is to live at your own place, the post about not so wonderful things was due to come. Yes, I’m talking cooking. I’m taking organization, I’m taking sharing a small kitchen with three flatmates, but most of all I’m talking how to become as perfect as my mum is managing all this things from day to night..
I’ve realized it’s not easy going shopping and staying focused on what you really need to buy –I must admit I’ve arrived home more than once realizing I haven’t bought half of my shopping list. 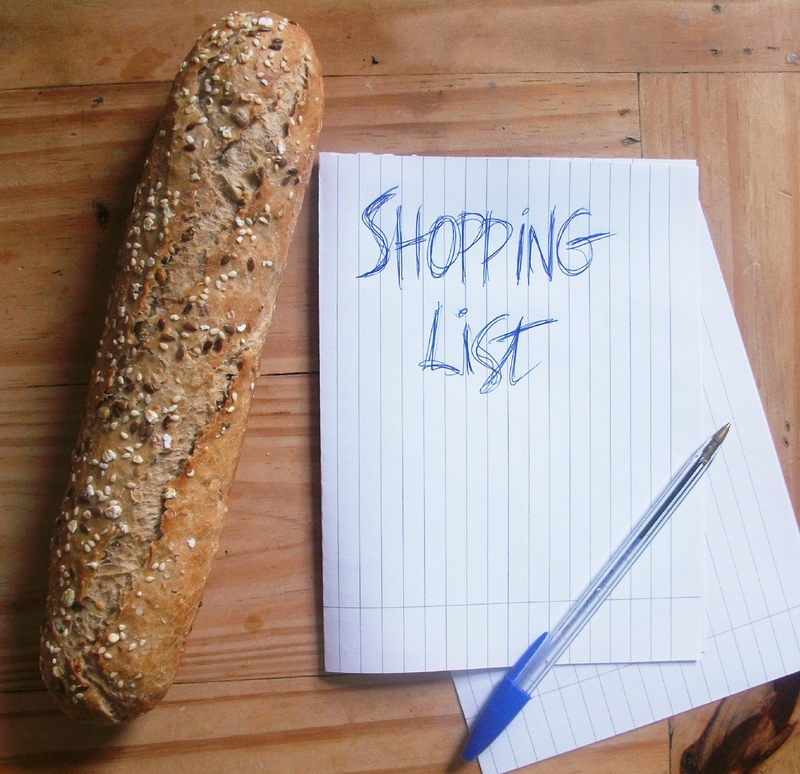 So here there some tips to make the best from your grocery shopping..
Plan ahead. Before anything else take a look on your fridge and cupboards and see what’s missing. Sometimes you may have enough food and you just have to buy some staples. Make a list. Take notes on everything you need and please don’t be like me and forget to look at it while at the market..
Visit different supermarkets. When I arrived in Belfast the first week I went to at least five markets to see which one was the cheapest and had the best food. The price difference was huge in some cases so I ended up shopping twice a week in two different places. Everything to save a few pennies.. Always bring a shopping bag with you. I know some supermarkets in Spain do charge you for the plastic bags, but here in the UK you have to pay not only in supermarkets but also in any shop. That’s why I always have my Yves Rocher bag with me which for the record is slowly fraying..
Don’t go shopping on an empty stomach. This is a serious thing unless you want to leave the shop with enough food to sustain yourself for three months. I try to follow all of these tips myself but somehow I always forget to look at my own shopping list! I guess I love making lists but can’t be bothered with them once I’m finished..
Do you have any shopping tips?